This year's theme will be the World War II era and patriotic songs. 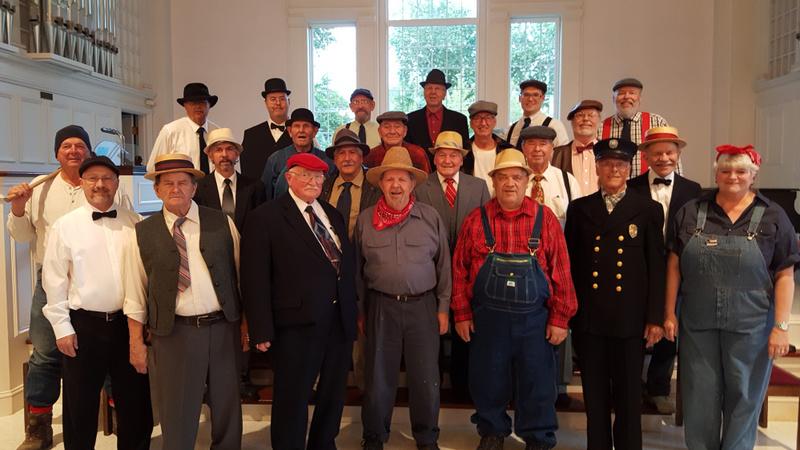 The Kennebec Valley Chordsmen Barbershop Chorus of Waterville will hold its annual show at 2 and 7 p.m. Saturday, Sept. 30, at Thomas College, in Ayotte Theatre. This year’s theme will be the World War II era and patriotic songs in honor of the music and patriotism during this important time in history. The Show also will include guest chorus Maine-ly Harmony women’s barbershop chorus from Augusta, as well as chorus quartets and the feature quartet Exchange Street, from the greater Portland area, who have won the Northeastern District championship of the Barbershop Harmony Society. The Waterville High School’s acapella chorus Sound Check also will perform under the direction of Ciara Hargrove. Following the evening show, there will be an Afterglow or cast party at Joseph’s Steakhouse on West River Road, the public is invited. Tickets cost $15 general admission, $10 for seniors and veterans and $5 for youth. Tickets are available from chorus members, at the door or online at kennebecvalleychordsmen.com.